Wonder Woman’s magic act - banned! 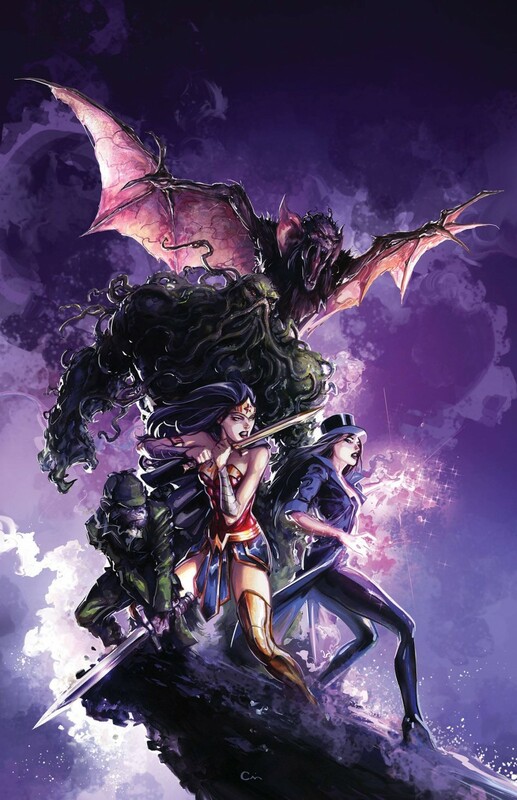 The DCU’s magical community collectively freaks out and forbids Wonder Woman and the JL Dark team from meddling in magic anymore after the disastrous events of the ‘Witching Hour’ storyline. The team seeks refuge in the only place they can think of: Detective Chimp’s inherited, magical realm of Myrra-but not everyone is happy to bow to the new Nightmaster! So how can things get worse for the sorcery super-team? One word: dragons!